Idaho has four million acres of designated wilderness, the wildest state of all, with the exception of Alaska. If you want to get a taste of this beautiful state’s hiking and biking trails and other outdoor adventures but don’t know where to begin, stop by Pete Lane’s Mountain Sports in the Village. You’ll be on the right track in no time! Hike a local's favorite! 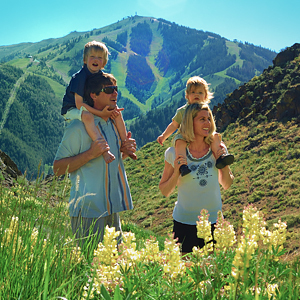 Enjoy beautiful views of Bald Mountain and Sun Valley Resort. Our enthusiastic guides will share their knowledge of wildflowers, wildlife, and history of the surrounding area. Take in the best views of the valley! Ride the gondola to The Roundhouse then hike to the top of Bald Mountain at 9,150 ft. Once you summit, relax and enjoy the spectacular vistas of the surrounding mountain ranges. Choose to hike back to the gondola, or catch a lift on the Christmas chair. End with lunch on The Roundhouse deck or ride the gondola back to the base. Test your stamina by hiking all the way to the top of Bald Mountain! Enjoy the diversity of the terrain and stunning views as you gain over 3,000 feet of elevation. After you’ve conquered the mountain, relax on the chairlift ride back down, soaking up the views and celebrating your climb. If you’ve worked up an appetite, consider stopping off at The Roundhouse, perched halfway up Bald Mountain, for lunch or refreshments on the deck. 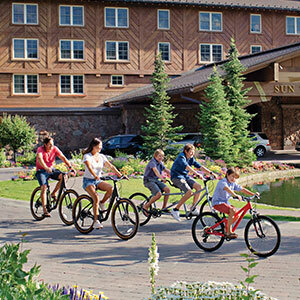 Join us for a leisurely one-hour historical bike tour of the Sun Valley Resort, followed by a one-hour wine tasting at an idyllic setting within the resort. 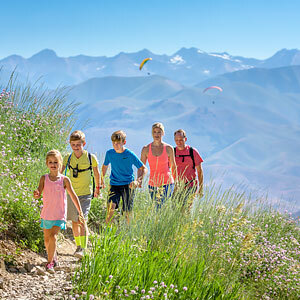 Come join a knowledgeable local guide and learn about Hemingway's life in Sun Valley, the world’s first chairlift and much more. Come ride a local classic! 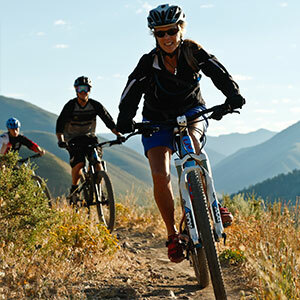 Corral Creek is one of the valley's most popular rides because of its varied terrain and proximity to town. It is an intermediate ride that gives you a great workout, but leaves you energized for your next event. 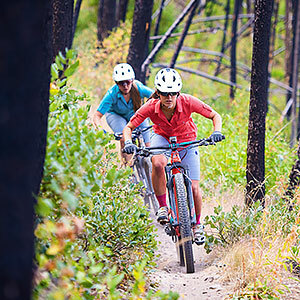 Our knowledgeable guides will not only give you a fun mountain biking experience, but will also provide you with the tools and information to explore the rest of the valley’s amazing trails. Want to work on your downhill skills? This is the ride for you! Have one of our experienced guides show you around our fifteen miles of machine-built flow trails, filled with jumps, berms and other natural features. This trip provides an opportunity to practice your downhill skills without getting worn out from the climb. 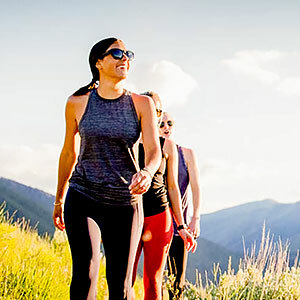 Design your own hike with one of our outdoor specialists. We will be happy to accommodate your every need!